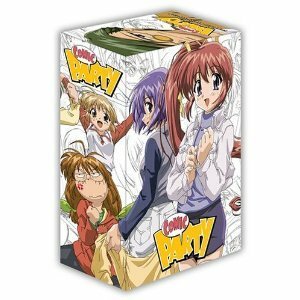 Home » Animegood Super Store » Comic Party Complete Series Box Set DVD Brand NEW! Comic Party Complete Series Box Set DVD Brand NEW! Comic Party Complete Series Box Set DVD Brand NEW Factory Seal! Official Licensed Product, 100% Authentic Guaranteed. Spoken Languages: English Japanese / Subtitles: English Format: DVD Item Code: 742617802027 Running Time: 468 Minutes Manufacturer: Right Stuf Ages: 13 Condition: Brand new Availability: In Stock – Usually Ship within 2 days! More information please view Seller policies section. Appreciated your kindly understand!